Oxalis pes-caprae (buttercup oxalis, Bermuda buttercup, yellow oxalis) is a low-growing perennial (family Oxalidaceae) found along the coast of California, in the Coastal Ranges, and in the Sacramento Valley. 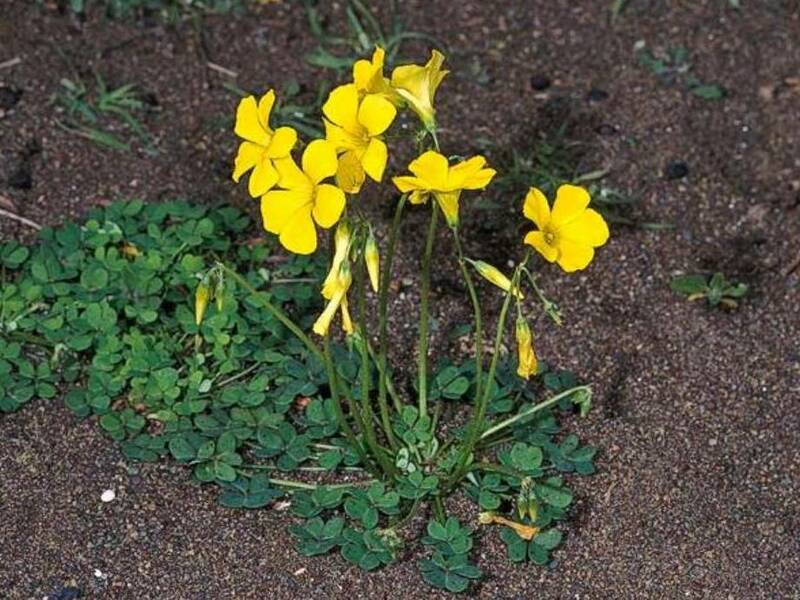 Buttercup oxalis occurs in coastal dunes, scrub, oak woodlands, gardens, turf, urban areas, orchards and agricultural fields. Buttercup oxalis was introduced as an ornamental landscape plant from South Africa. Although buttercup oxalis does not produce seeds, it is difficult to control because of its ability to form many persistent bulbs. Cultivation may be an effective control if carried out when the plants are just beginning to flower.